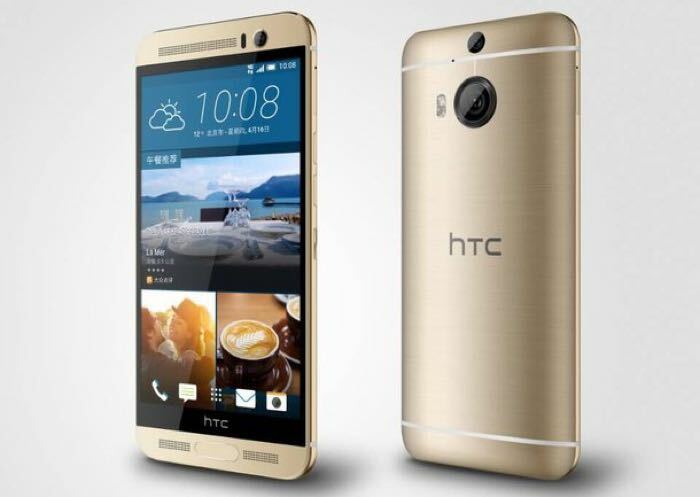 The HTC One M9+ was announced last month, the handset launched in China and it is also headed to India. The device comes with a number of upgraded over the original One M9 and now we get to have a look at the device in a video from Mobile Geeks. The HTC One M9+ comes with a 5.2 inch display that has a Quad HD resolution of 2560 x 1440 pixels, the handset is powered by a octa core 2.2GHz MediaTek MT6795T processor. Other specifications on the device include 3GB of RAM and 32gB of built in storage, the handset also comes with multiple cameras. On the front of the device there is a 4 megapixel HTC Ultrapixel camera, on the back there is a 20 megapixel HTC Duo camera and the device also comes with a fingerprint scanner. The device also features a slightly larger battery than the original One M9 it comes with a 2840 mAh battery, the handset features Android Lollipop.